If found early, nearly all breast and cervical cancers can be treated successfully (Cancer in Ohio 2014). In Ohio, most women have insurance coverage and these screenings are covered at no cost. For women without insurance, there may be programs to help them receive these lifesaving screenings. 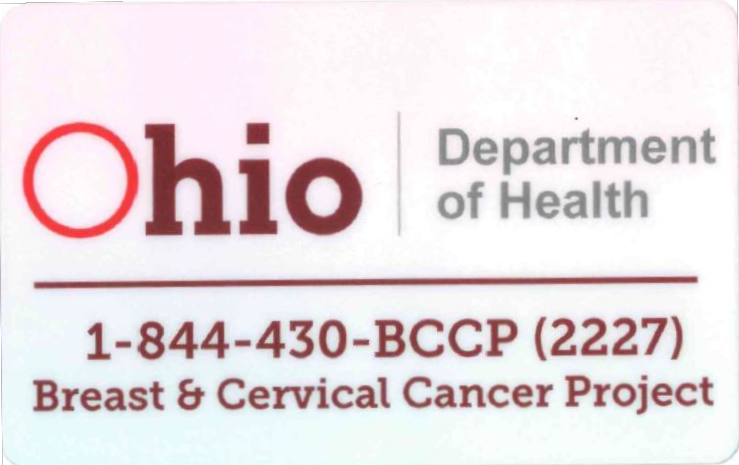 The Ohio Department of Health Breast and Cervical Cancer Project (BCCP) can help all women navigate cancer screenings. BCCP's Patient Navigation Program helps guide women through the healthcare system, find providers and community resources, and answer questions about scheduling appointments, using insurance, and more. 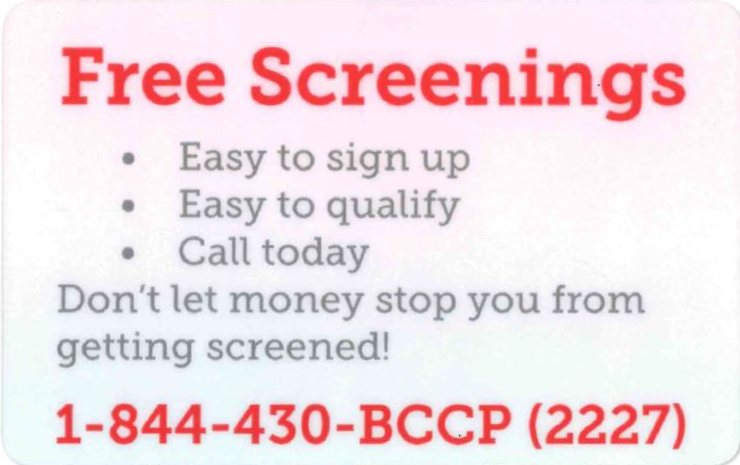 The Ohio BCCP program also offers no-cost breast and cervical cancer screenings and diagnostic testing to qualified participants. This is one of the programs offered by the Patient Navigation Program. Follow-up exams and diagnostic testing for abnormal pap test. Not eligible for the Ohio BCCP program. Screening/diagnostic mammography if a doctor determines a need for screening or diagnostic services based on a clinical exam, family history or other factors. (May include office visit for order) Follow-up office visits/exams and diagnostic testing for abnormal mammogram results. Follow-up office visits/exams and diagnostic testing for abnormal mammogram results. All services must be approved and scheduled by the Regional Enrollment Agency; clients are not to schedule their own appointments. Appointments are made with a contracted BCCP Provider for services to be covered. Pre-authorization or approval is needed for diagnostic testing that is allowed by the current listing of procedure codes. Other test doctor may order such as blood or urine tests. Exams before signing up for Ohio BCCP. Inpatient hospital or treatment services. Medication prescribed at office visits. Regional staff will review all allowable procedures prior to any medical services.